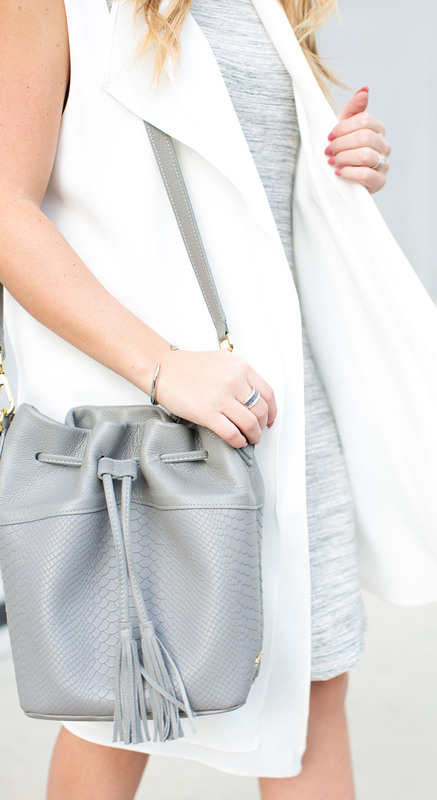 There’s just something so clean + crisp about a white + grey combo. It’s basically like my house decor in an outfit! Haha. The whole ‘white marble’ thing is so trendy right now in home decor, but I loved the idea of bringing that to an outfit – meet today’s ensemble! 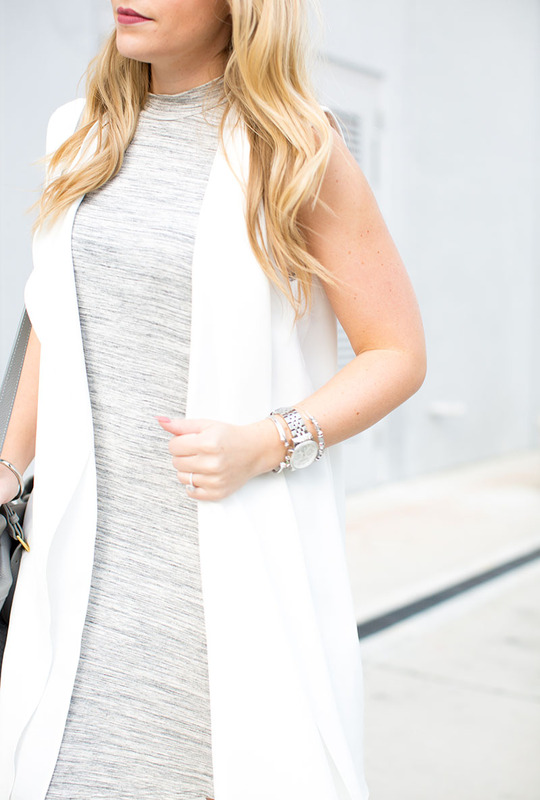 I’m a huge fan of white, grey…and marble, so I’m naturally loving this outfit! 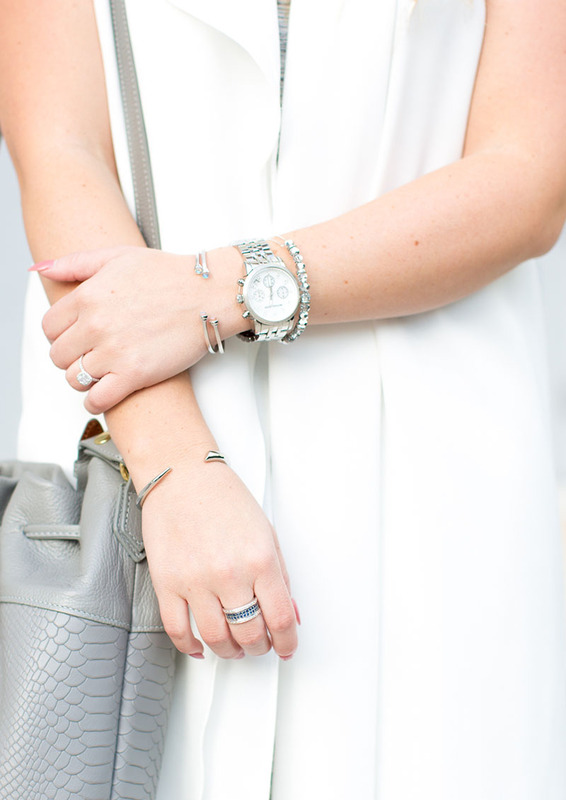 Such a bright, classic combo – you can’t go wrong! This look is so gorgeous! I’m in love! Loving this neutral color palate! And those shoes!! Loving the light bright colors in this look. That bucket bag is seriously cute. Lol totally agree that bucket back is tooooooo cute! Nice style you have going on girl, you go! Love it! I need to get my hands on a vest like this. I love these photos so much! Gorgeous colors – the pop of white really makes the outfit!! 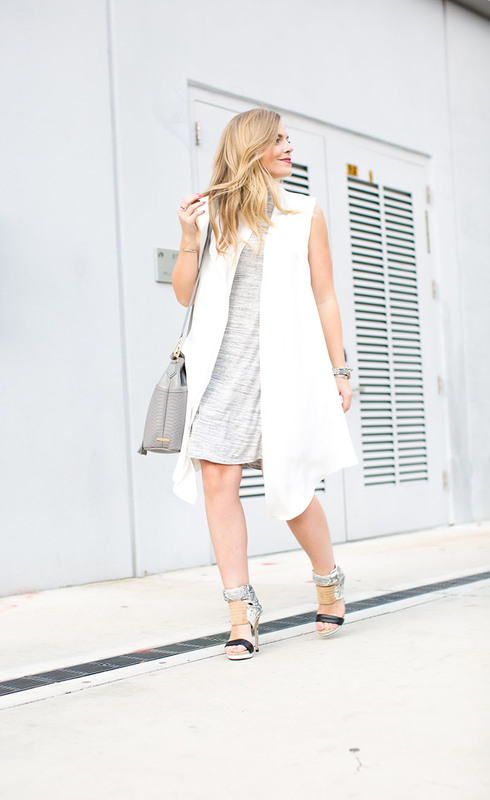 What a lovely combo – i love this light dress and it looks gorgeous with these heels!